If you want to Get the Word out with your own Blog here are few recent resources. If you get real serious read (BUY) these two books. 8. Click on these books under Books & Music to Buy to buy these online. 1. mathetes NT:3101, lit., "a learner" (from manthano, "to learn," from a root math—, indicating thought accompanied by endeavor), in contrast to didaskalos, "a teacher"; hence it denotes "one who follows one's teaching," as the "disciples" of John, Matt 9:14; of the Pharisees, Matt 22:16; of Moses, John 9:28; it is used of the "disciples" of Jesus (a) in a wide sense, of Jews who became His adherents, John 6:66; Luke 6:17, some being secretly so, John 19:38; (b) especially of the twelve apostles, Matt 10:1; Luke 22:11, e. g.; (c) of all who manifest that they are His "disciples" by abiding in His Word, John 8:31, cf. 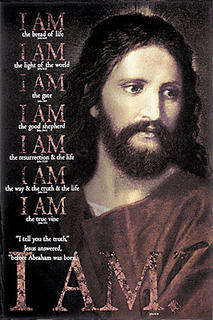 13:35; 15:8; (d) in the Acts, of those who believed upon Him and confessed Him, 6:1,2,7; 14:20,22,28; 15:10; 19:1, etc. A "disciple" was not only a pupil, but an adherent; hence they are spoken of as imitators of their teacher; cf. John 8:31; 15:8. TO GET READY FOR OUR STUDY read the materials linked at the Barna site IN THE ARTICLE article below and click on the Barna site link. This will help you as we start this study. 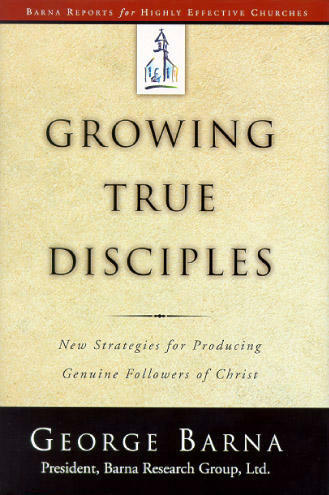 Also you might want to buy the book Growing True Disciples, which you can do by clicking on this text link or by clicking on the picture of the book on the lower right side of this blog, to get there you can click on Books and Music in the table of Contents. This will connect you to amazon.com. Over at Intersect Smyrna, Pastor Glenn has a great article on Discipleship and a book by Weber. Click here to read it. http://www.intersectsmyrna.blogspot.com/ We seem to waste a lot of time, energy and money doing all kinds of great things in Churches today, but we are not making the world wide or community wide impact we believe the Gospel can make in people's lives. One of the encourgaing things that has happened over the last 15 years is the world wide prayer movement which has seen this need and has aimed at winning people to Christ and making disciples a priority in prayer gatherings, journeys and meetings. I am glad to see this and have learned to pray for my community as I go for my daily walks, teach classes and attend prayer meetings. Prayer is a very important in do all of God's work! There is however a pressing need to comprehend that unless and until we as Church leaders take up the mandate of Jesus Christ to Make Disciples and to Equip God's people so that they can come into the measure and stature of Christ we will be found to have failed to be good and faithful servants of our Lord. There is an old saying among Pastors, "You can not lead where you have not been." The jest of the saying is that as Pastors and Church leaders we must "be" some thing and take people into those things of God which we have learned and experienced. That is a long winded way of saying we must 'be disciples' who have been equipped if we are in turn to equip others. When we look at Ephesians 4:12-14 we see that making disciples who are equipped to build up one another, do the work of the ministry and come into the full stature of Christ is the reponsibility of every God called Church leader. When we examine the New Testament we see that making disciples who will then make disciple of Christ is a mandate for all who follow Jesus as Lord and Messiah. Today we want to use new terms to motivate or explain Equipping and Discipleship. This has come about because the Church over the years has mostly failed at this reponsibility. I have nothing against new terms as long as we get the job done. So, there is one more article I want to recommend over at Leadership Jounal's web site. This article is called "The Apprentices: What is spiritual formation? And how does a church do it? A professor and pastor discuss the new language of making disciples. http://www.christianitytoday.com/le/2005/003/2.20.html The professor is Dallas Willard who has written several books on the subject. His books " The Divine Conspiracy "and "Renovation of the Heart " are listed on the lower right hand of this page under Books and Music in the table of contents. You may also click on the links above to get there. Why are Churches and other Christian Ministries not making healthy disciples who have a passion for God and who are then making healthy disciples? Many have observed that churches and other Christian groups that are functioning today are not consistently making healthy disciple who are then making healthy disciples on their own. I want to start an ongoing discussion and evaluation of this issue and recommend resources that will help us solve this dangerous situation within the body of Christ. 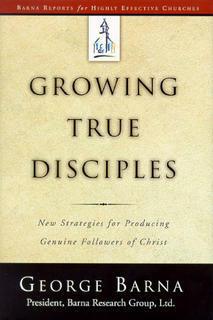 To start our discussion and evaluation I recommend reading 'Growing True Disciples' by George Barna. When we study we must always be like the people of Berea. The summary below of 'Growing True Disciples' by George Barna is from the Barna Group web site and used with their permission. Success in God's kingdom is not based on earthly fame, degrees earned, material wealth, or popularity; it hinges on obedience to God's commands. As followers of Christ we are to be known for the authenticity and depth of our relationship with God, genuine love of people, and the spiritual fruit we produce. We call being molded into Christ-likeness by the Spirit the discipleship process. How are we doing in discipleship today? In this analysis of American Christians and Protestant churches in relation to discipleship, you will discover many insights into what we're doing, how we're doing, where we're going, and what new directions we might take to enhance the disciple-making ministry of the Church. Barna provides an objective statistical assessment of the spiritual profile of born again Christians. Just as importantly, he identifies various discipling models that are working well in churches - approaches to the equipping and sending of the saints that are easily adaptable to any church's ministry context. You may also buy this book from Amazon.com If you click on this book on the lower right side of this page and purchase it from Amazon I will make a little money in the process. In a recent response to an article that Pastor Glenn (@ http://www.intersectsmyrna.blogspot.com/ ) had posted on his Blog and in conversations with other pastors and leaders in the Body of Christ it is obvious that many believe we must do a better job of making true disciples. Some have called for a new Reformation where the concept of the ‘ministry or priesthood of all believers’ becomes a functional reality and not just a great idea. I believe that some churches are working very hard at this and are seeing some good results. I believe however, that many of our discipleship models are not based on the model Jesus used, which was the one used by Jewish Rabbis where people were equipped and not simply lectured or had conceptual data transferred to them, which was more of a Greek model. When a Jew was taught something and said "I believe," they knew that their belief required a life that demonstrated that belief, it meant to live out the teaching and not simply give mental agreement that the concept or idea was true along with many others. The Bible teaches us that God will not rest on or abide with, or honor a people who do not know Him in an intimate way, and who have lives that do not honor Him above all else. Upton goes on to ask that God's Glory and honor rest on our lives. This can only come as we yield to His Word and humble ourselves along with giving ourselves completely to Him daily. I am amazed that my fellow leaders are seeking more and more complex and detailed ways to train people the wrong way,(using the wrong model). It is not the method alone but the content of our training that needs change. The solution is not some amazing new way to teach people, but it is going back to what I have seen in students from all over the world. A total giving of ourselves to Him. That is the starting point, which must be followed by Whole life Equipping. Whole life equipping is a truly new Reformation for equipping people in Spirit, Soul (the mind, will, emotions) and Body. This is a functional realization of the doctrine of the Priesthood of all believers. It starts with what has been said above and then goes on to teach, integrate and experience the life and teachings of Jesus and His disciples today.Let us all give ourselves (our personal development), our discipleship and leadership training programs an evaluation. Are they accomplishing what Ephesians 4:11-13 intends them to? Will you ask God to start a new Reformation in you and through you, today?If you are interested in a few other sites that will help you to ask more questions and possibly lead to some answers look at http://www.leadnet.org/ and http://www.lifestream.org/lsfrontpage.html. These sites offer resources and perspectives that may challenge what you think, so enjoy the adventure as you seek His plans and solutions for Equipping the believer today. Do Your Filters keep Jesus from Having His Way in Your Life and Church? In a recent discussion with two other Christian leaders our conversation turned to situations we had experienced where people's filters, traditions, Church government model, doctrine or worldview kept them and their churches from having a greater part in what God desired to do among them. 1. The place of women in the functioning of the church, putting a women’s role in predetermined boxes which resulted in the touch of God on them and the gifting in their life not being released, thus keeping others in the Church from being blessed, and in fact allowing men who were not as gifted, nor as mature or of as good character to lead in the place of these women. 2. The seeming inability of believers from one group within the kingdom to accept and welcome others who have new insights into how we teach the truths of scripture today, such as the role of the supernatural in the church today. Does God speak and work supernaturally among His people today, and if He does under what rules and through whom and according to what pattern? 3. The recent resurgence of the concept of the role and office of apostles and prophets among Pentecostals, Charismatic and the new Apostolic movement. To some this discussion is only a matter of what we call people who have a certain role or function. Although this is a structural issue it is also an important doctrinal issue to others. These three issues are not our topic today, but are used to illustrate our point. We may be in various camps when it comes to these issues, but we must be careful not to claim that we have absolute knowledge or that our positions are the only possible true ones. When we do we can miss out on what God is doing and how He is building His church. We must understand that 'we see through a glass darkly', that is to say although God has given us perfect truth we are not yet perfect in our understanding. This should keep us humble and open to learn the new ways God is speaking and working in His Church today, so that the revival or revolution that once brought our camp or denomination to life does not become enthroned above God and thus become 'philosophy and empty deceit, according to the tradition of men, according to the basic principles of the world, and not according to Christ. 'The material that follows is from Cynthia Griffin who was one of the leaders in the discussion mentioned above. Below is the heart of what she shared concerning these things. “As you therefore have received Christ Jesus the Lord, so walk in Him, rooted and built up in Him and established in the faith, as you have been taught, abounding in it with thanksgiving. Beware lest anyone cheat you through philosophy and empty deceit, according to the tradition of men, according to the basic principles of the world, and not according to Christ” (Colossians 2:6-8).Sounds simple enough, “As you therefore have received Christ Jesus the Lord, so walk in Him...” But what about verse 8, “beware lest anyone cheat you”? Why is “beware” there? As I read it, “beware” means, “listen up, you need to hear this.” What was going on in the church of Colosse that Paul felt he needed to include the warning?Evidently, there were teachers who were trying to introduce doctrine that would undermine the basic principles of the faith: the deity, absolute lordship, and sufficiency of Christ. Are we to heed this as a warning to the church today?Paul makes it pretty clear as to what to watch out for: philosophy and empty deceit; according to the tradition of men; according to the basic principles of the world. Once again, sounds simple enough. But, has philosophy, tradition, or basic principles of the world made their way into the church today? This may sound harsh, but I believe God is jealous for His Bride and desires to have her without spot or wrinkle (Ephesians 5:27).I believe it is time for all of us (myself included), to examine what we believe and why? Then, how do we practice what we believe? I look to Jesus as my example. Did Jesus think or act denominationally or politically? As I read the scriptures, I see him speaking of only one kingdom, the Kingdom of God (Matthew 6:33). What about methods and practices? Are we doing what we do because that's the way it's always been done, or that's the way we've learned to do it from others? Jesus had a different approach. 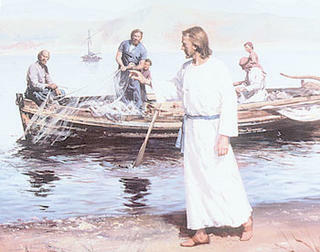 He only did what he saw His Father doing (John 5:19).Going back to Colossians 2:6-7, “As you therefore have received Christ Jesus the Lord, so walk in Him, rooted and built up in Him and established in the faith, as you have been taught, abounding in it with thanksgiving.” “Beware” is still there, now, as it was then.